Hello my lovelies! Here I am with a new warm Outfit, perfect for these cold days. I don't know about you, but I want Spring! The protagonist of this Look is the Stradivarius turban, really warm and versitile, I would also pair it with a sportier Outfit, for un unexpected touch. I bought the military cut camel coat last year on sale, it was the best bargain ever, I'm using it really often and I find it really chic. The big scarf is a must, it adds a little but of colour and it's extremely practical, warm and soft. What do you think about my turban? Yes or no? I love your accessories here! you look fabulous! I love how you styled this outfit! Hope you have a great weekend, sending love! great accessories! that scarf is just perfect. Love your turban inspired beanie! I have always wanted one like it...great winter look! Such a great look! Styled to perfection. Really pretty outfit and lovely accessories! What a pretty outfit. I love your outfit! Great look, I love turbans! What a gorgeous outfit! Absolutely love your turban and the scarf! You look beautiful! !Love the turban!Kisses!! Bellissimo outfit, mi piace il turbante! 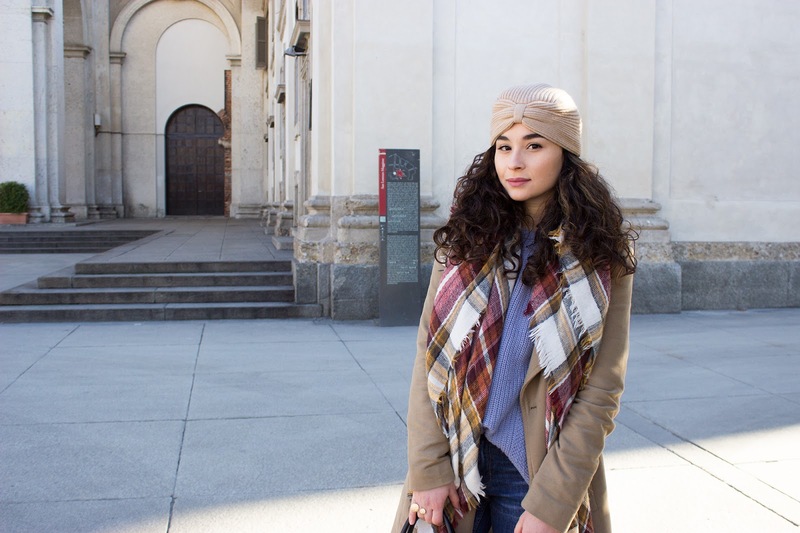 Molto bello questo look, adoro il cappotto cammello e il cappello a turbante ti sta davvero bene! 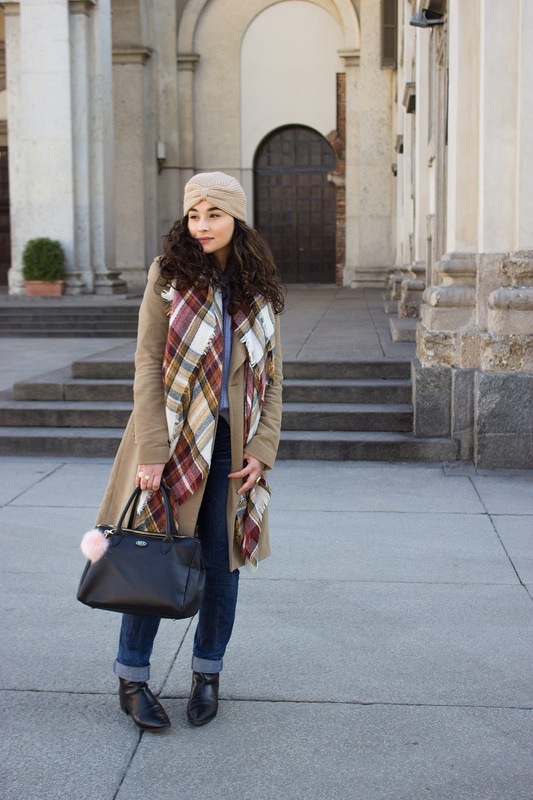 The plaid scarf is amazing!Really pretty outfit and lovely accessories! Cool outfit! Love your style! Thanks for sharing this post. I love this. In the event that you are a man and searching for High Profile Bangalore Escorts Services then you ought to expect only the best in Bangalore.